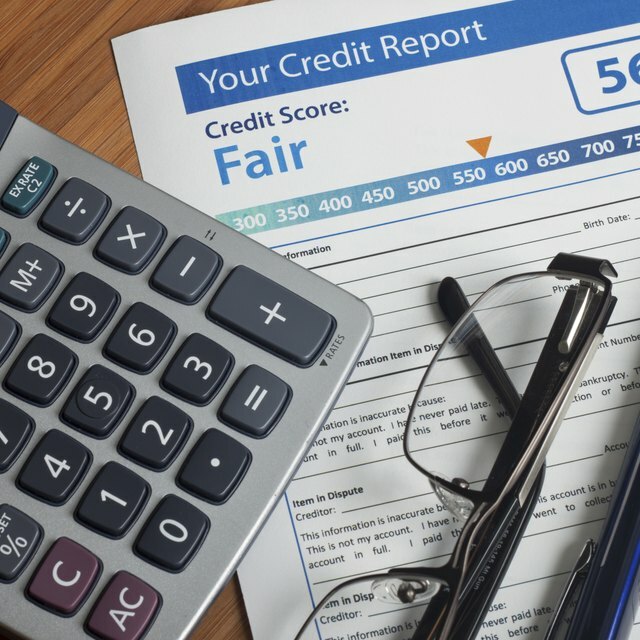 Your credit report may influence whether a company hires you for a job, gives you a loan or sells you insurance, so it's important to be aware of what information companies are seeing when they look at your credit report. Negative information on your credit report can affect several important areas of your life. If you want to ask creditors to remove negative information from your credit report, how you go about it depends on whether the information in the report is true or not. If the negative information in your credit report is not true, write a letter to the company that reported the information explaining the inaccuracy and asking the company to remove the charge. Be specific so it's easy for the company to understand which item on your report you're disputing, and include back-up information if you have it to support your claim that inaccurate information is on your credit report. Write a letter to the credit reporting agency that issued the report, including the same details and back-up information so it can conduct its own investigation. If the credit reporting agency can substantiate your claim, it will remove the erroneous item. Expect to hear from the credit reporting agency within 30 days about the resolution of your dispute. If the company that filed the negative report or the agency agrees that the information is untrue, that information will be removed from your credit report. How Long Does it Take for Late Payments to Fall Off of a Credit Report? Monitor your report over the next year to make sure that the incorrect information doesn't reappear. If it does, contact the company and the credit reporting agency again with the details of the resolution and ask that the erroneous information be removed immediately. If the negative information on your credit report is correct, call the customer service number for the reporting company and ask to speak to a representative. If the negative information is because of a one-time missed payment or series of missed payments that took place during a particular time--such as job loss or unexpected illness--and your history with the company is good except for the one lapse, ask the customer service representative to make a one-time goodwill adjustment and remove the item from your credit report. If the negative information is true and part of a long history of problems with a particular company or credit card, ask the customer service representative if you can set up a payment plan that includes having the item removed from your credit report once the payment is complete. Be sure to get the agreement to have the item removed from your credit report from the company in writing. You'll have to make the agreed-on payments to get the negative item removed. If a negative item shows up on your credit report from one agency, request copies of your credit report from other agencies to make sure it doesn't appear on those reports as well. The three main credit reporting agencies are Equifax, Experian and TransUnion, and you're entitled to one free credit report from each of them each year. If the negative information does appear, you'll need to file a dispute with each of the companies reporting it. Most negative information appears on your credit report for seven years. If you can't come to a resolution for removal, the negative report will disappear in time. Beware of credit repair companies that claim to be able to remove items from your credit report. It is illegal for anyone to remove true information from a credit report.